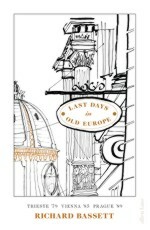 The Allen Lane hardback edition of LAST DAYS IN OLD EUROPE: Trieste 79, Vienna 85, Prague 89, a memoir of Richard’s time as Foreign Correspondent for The Times behind the Iron Curtain, was published on 31 January 2019 with a paperback to follow in January 2020. Richard Bassett read Law at Cambridge and did an MA in the History of Art at the Courtauld Institute. 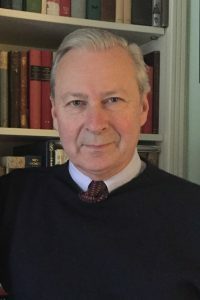 He was a staff foreign correspondent for The Times throughout the 1980s and early 1990s, covering central and Eastern Europe. He is married with two children and divides his time between London and Europe. 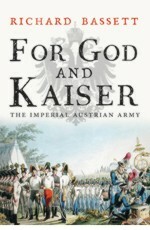 Richard Bassett is the author of FOR GOD AND KAISER: The Imperial Austrian Army 1619 to 1918 (Yale University Press 2015), HITLER’S SPY CHIEF: The Wilhelm Canaris Mystery (Weidenfeld & Nicolson 2005), GUIDE TO CENTRAL EUROPE (Viking Penguin 1986), THE AUSTRIANS (Faber 1989), TRAVELLER’S GUIDE TO VIENNA with John Lehmann (Constable 1989), WALDHEIM (Viking Penguin 1989) and BALKAN HOURS (John Murray 1990). 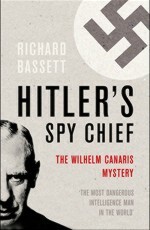 HITLER’S SPY CHIEF sold to twelve languages.